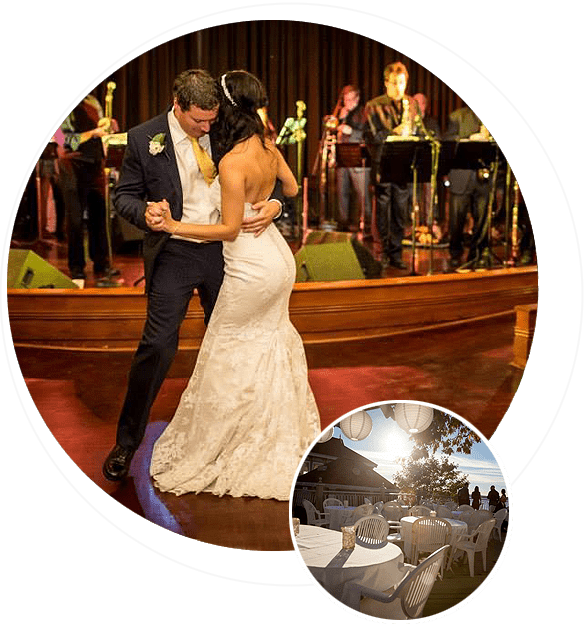 Fern Resort offers the perfect lakeside setting for a private, destination-wedding weekend that is as unique as your love. Reserve the entire Resort from Friday evening to Sunday morning and create memories to last a lifetime! Begin the celebration on Friday night with a welcome BBQ overlooking Lake Couchiching. On Saturday guests can enjoy over 20 sports and recreation activities while the bridal party prepares for the ceremony. 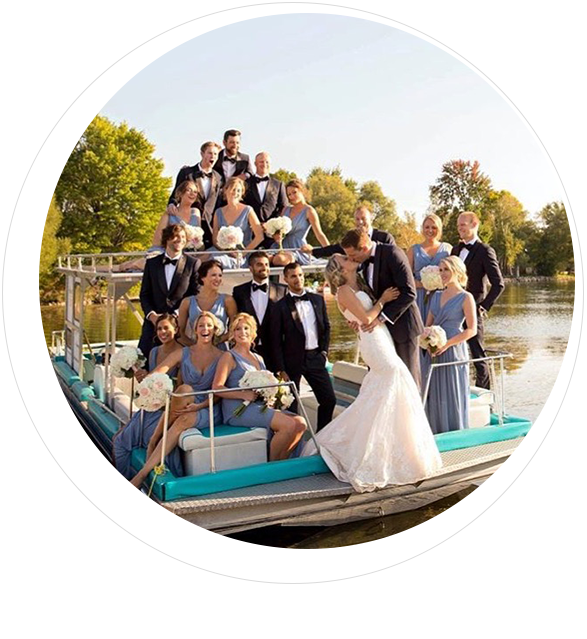 Say “I do” as the sun sparkles over the lake creating the perfect backdrop for photos. Get the party started with cocktails on the lakeside pool deck and then enjoy a delectable dinner in the Heritage Dining Room. Finish up the evening with some dancing and perhaps a late night treat. The next morning friends and family surround you as you regale each other with tales from your dream wedding! 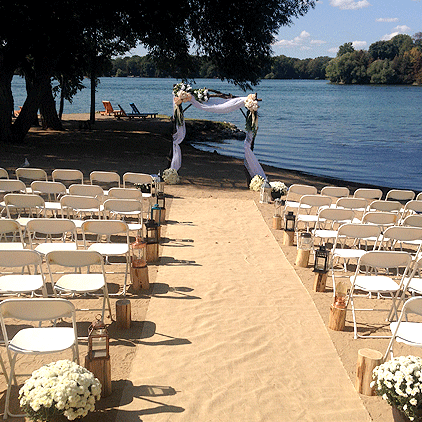 Say “I do” with Lake Couchiching as your backdrop or in an elegant room with a stunning lake view. 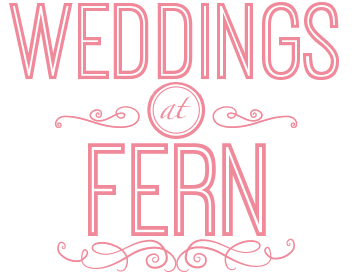 Please note that for outdoor weddings Fern Resort will call the location of the ceremony two hours in advance, based on weather. Officiant and decorations not included. Celebrate your marriage with a lakeside cocktail reception followed by a spectacular dinner in the Heritage Dining Room for 150–300 people. Four-Course A La Carte Menu $110.00 per person, plus 18% Event Services Fee and HST. Four-Course Set Menu $100.00 per person, plus 18% Event Services Fee and HST. Buffet $100.00 per person, plus 18% Event Services Fee and HST. Set-up of reception location. Choice of poolside, Heritage Dining Room, Mary Lou’s or Bergwen’s. One hour pre-dinner hors d’oeuvres. Choice of three options. Additional upgrades such as hors d’oeuvre stations are also available. Ask about the current menus. 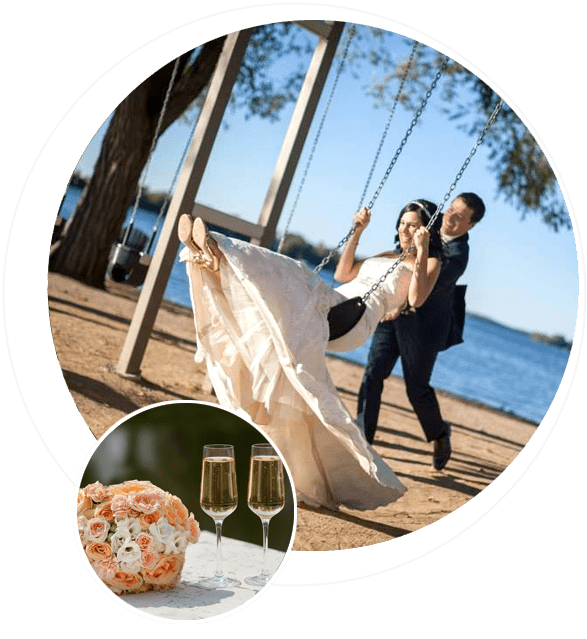 Fern Resort is the perfect resort for a Canadian destination-wedding weekend. In order to have a private wedding dinner you will need to book exclusive use of Fern Resort. 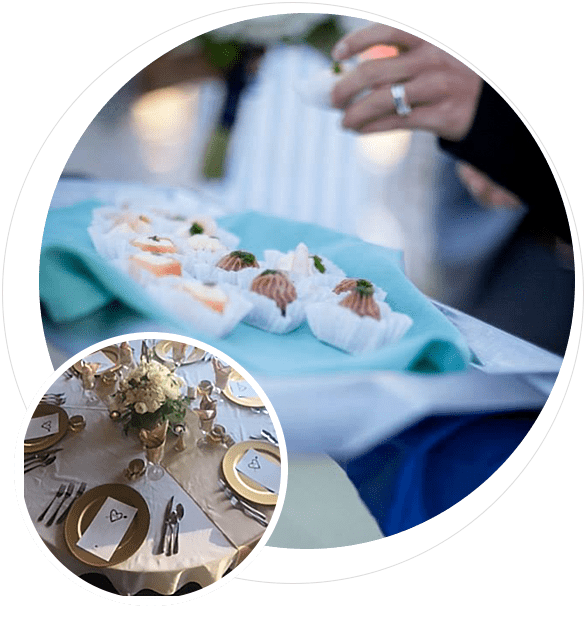 To book a private wedding celebration you will need to book a minimum of 150 people for the Saturday dinner and 60 rooms (two-night minimum stay). You will have exclusive use of the Resort from Friday at 5:00pm until Sunday at 11:00am. Due to the busy nature of Fern Resort, we regret that weddings are not available in July or August or on long weekends or holidays. Please call 705-325-2256 or email us to find out current availability. You guys are the best!!! The wedding was better than we could have hoped for!!! The food was fabulous, the ceremony was perfect - everybody looooved it!! We are forever grateful and look forward to spending every anniversary at Fern from now on!!!! The service really was amazing. We've spent the last two days just replaying our weekend and everyone we've talked to is just in awe about the venue and the staff and how amazing every meal was. Chef Jed and his team were incredible, the food really was fantastic at every meal and everyone's been raving about it. We already can't wait to come back next year just the two of us. What a weekend! We can't thank you and the staff enough for everything. Every single person working there was unreal, so accommodating and happy to help we really couldn't have chosen a better place to get married.